OLED, an advanced form of LED, stands for organic light-emitting diode. Unlike LED, which uses a backlight to provide light to pixels, OELD relies on an organic material made of hydrocarbon chains to emit light when in contact with electricity. There are several advantages to this approach, particularly the ability for each and every pixel to make light on their own, producing an infinitely high contrast ratio, meaning blacks can be completely black and whites extremely bright. This is the main reason more and more devices use OLED screens, including smartphones, wearable devices like smartwatches, TVs, tablets, desktop and laptop monitors, and digital cameras. Among those devices and others are two kinds of OLED displays that are controlled in different ways, called active-matrix (AMOLED) and passive-matrix (PMOLED). An OLED screen includes a number of components. Within the structure, called the substrate, is a cathode that provides electrons, an anode that "pulls" the electrons, and a middle portion (the organic layer) that separates them. Inside the middle layer are two additional layers, one of which is responsible for producing the light and the other for catching the light. The color of the light that's seen on the OLED display is affected by red, green, and blue layers attached to the substrate. When color is to be black, the pixel can be turned off to ensure that no light is generated for that pixel. This method to create black is very different than the one used with LED. When a to-be black pixel is set to black on an LED screen, the pixel shutter is closed but the backlight is still emitting light, meaning it never quite goes all the way dark. Energy efficient since a backlight isn't being powered. Also, when black is being used, those specific pixels don't need power at all, further saving energy. The refresh rate is much faster since pixel shutters aren't used. With fewer components, the display, and thus the whole device can remain thin and lightweight. Black color is truly black since those pixels can be shut off completely and there isn't nearby lighting from behind that provides a faint glow in that area. This allows for a really high contrast ratio (i.e. the brightest whites over the darkest blacks). Supports a wide viewing angle without as much color loss as LED. The absence of any excess layers allows for curved and bendable displays. Since part of the display is organic, OLEDs show color degradation over time, which affects the overall screen brightness and color balance. This gets worse with time since the material required for making blues decays at a quicker rate than reds and greens. OLED screens are expensive to make, at least compared to older technology. Both OLED and LED displays experience screen burn-in if particular pixels are used for too long over a long period of time, but the effect is greater on OLEDs. However, this effect is in part determined by the number of pixels per inch. Not all OLED screens are the same; some devices use a specific kind of OLED panel because they have a specific use. 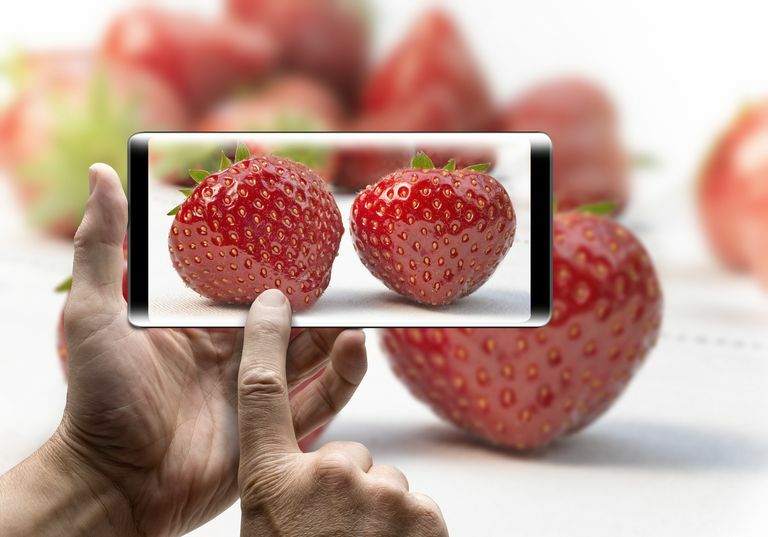 For example, a smartphone that requires a high refresh rate for HD images and other always-changing content might use an AMOLED display. Also, because these displays use a thin-film transistor to switch the pixels on/off to display color, they can even be transparent and flexible, called flexible OLEDs (or FOLED). On the other hand, a calculator that usually displays the same information on the screen for longer periods than a phone, and that refreshes less often, can utilize a technology that provides power to specific areas of the film until it's refreshed, like PMOLED, where each row of the display is controlled instead of each pixel. Some other devices that use OLED displays come from manufacturers that produce smartphones and smartwatches, like Samsung, Google, Apple, and Essential Products; digital cameras such as Sony, Panasonic, Nikon, and Fujifilm; tablets from Lenovo, HP, Samsung, and Dell; laptops like Alienware, HP, and Apple; monitors from Oxygen, Sony, and Dell; and televisions from manufacturers like Toshiba, Panasonic, Bank & Olufsen, Sony, and Loewe. Even some car radios and lamps use OLED technology. What a display is made up of doesn't necessarily describe its resolution. In other words, you can't know what the resolution is of a screen (4K, HD, etc.) just because you know it's OLED (or Super AMOLED, LCD, LED, CRT, etc.). QLED is a similar term that Samsung uses to describe a panel where LEDs collide with a layer of quantum dots to have the screen light up in various colors. It stands for quantum-dot light-emitting diode.